No big excitement on this big day. 900 days of taking a picture a day. Who knew it would go so long? Certainly not me. I guess there was some excitement. 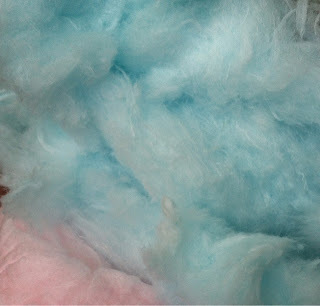 I had forgotten I bought a bag of cotton candy at the fair on Friday. It's been sitting in my car since. But today when I woke up from my nap and headed to my recliner hubby had taken out of the car and had put it in my chair. It was like Christmas. (Or like day 900 I guess.) Who knows how long it would have stayed in that hot car before I remembered it!